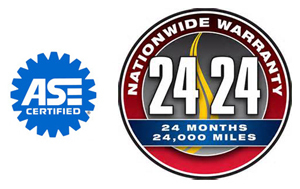 No matter the brand of vehicle you drive - foreign or domestic - we can help protect you and your vehicle's warranty. By using quality our auto Parts and service, our skilled technicians can perform all of your vehicle's maintenance and repairs without voiding your warranty. Legally, automakers cannot specify which parts are used to complete your vehicle's service. You may use our brand-name quality parts to replace fan belts, hoses, brakes, exhaust or chassis parts and more. Some are manufactured by the same supplier and may even be warranted longer than original equipment parts. Aftermarket parts supplied by us meet or exceed manufacturers' specifications.